The negotiations between the warring parties, held in Kuwait, ended in early August over an impasse regarding so-called “sequencing concerns” related to the UN-sponsored peace plan; these were essentially a disagreement over whether the Houthi rebels and allied forces should be required to cede capture territory and disarm before, or after, their place in a new unity government was established. 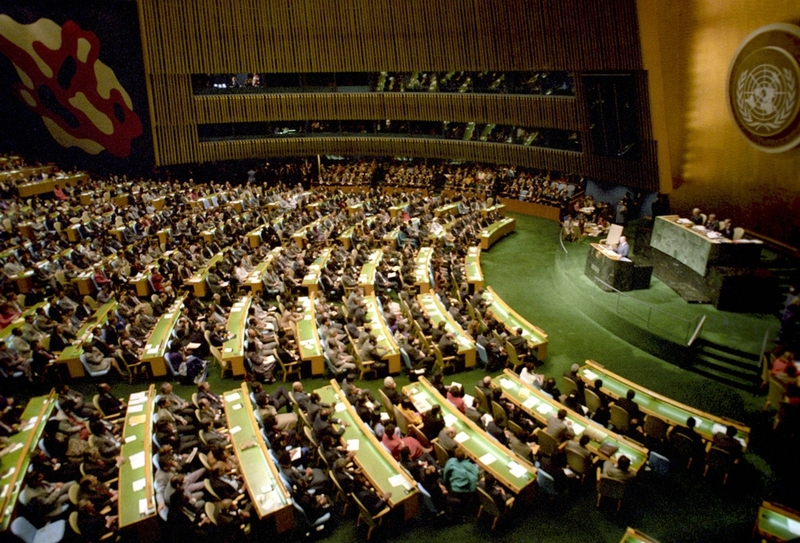 In an effort to break the impasse, in late August a multilateral group consisting of the United States, United Kingdom, United Arab Emirates, and Saudi Arabia put forward a new peace proposal drafted by the US Secretary of State to address the sequencing concerns. On August 6th, UN mediated negotiations in Kuwait ended without a peace agreement between the main warring parties to the Yemeni conflict, which are constituted on the one side by the internationally recognized government of President Abd Rabbuh Mansur Hadi, backed by a Saudi-led military coalition, and on the other by the Houthi rebels and the allied General Popular Congress (GPC) party, loyal to former president Ali Abdullah Saleh. These groups continued to disagree over the sequencing of the steps in the peace plan presented by the UN Special Envoy for Yemen, Ismail Ould Cheikh Ahmed. Among the plan’s requirements were that the Houthis and forces loyal to Saleh disarm and withdraw from territories currently under their control, including the capital, Sana’a, and the cities of Taiz and Hodeidah. The proposal would involve warring parties declaring a permanent end to the conflict, then through presidential decree Hadi would establish a National Military and Security Committee (NMSC), as well as Governorate Military and Security Committees (GMSCS) for each of Yemen’s governorates. These committees would exercise temporary executive responsibility for security throughout the country and facilitate the handover of the opposition’s heavy and medium weapons. Following the completion of these interim security arrangements and the handover and restoration of state institutions, slated to take 45 days, a national unity government inclusive of all sides in the conflict would be formed and assume power. While President Hadi nominally supported the UN special envoy’s peace plan, the Houthis and the GPC viewed it as being overly favourable to Hadi and his government-in-exile, and insisted that they would only hand over their weapons and withdraw from areas they now occupy after their position in the new unity government was agreed. This disagreement over the order in which the elements of the peace plan were to be implemented then deadlocked the negotiations. It should be noted that intense mistrust between the opposing sides in the conflict also played a significant role in the failure of the talks. Ould Cheikh Ahmed reassured council members at the briefing that the proposed plan dealt with both the security and political dimensions of the conflict. Various council members, however, remained concerned regarding the warring parties’ disagreement over how the various steps of the plan were sequenced. Such disagreements at the UNSC mark an increasingly apparent deviation from the traditional consensus regarding Yemen within the council (for more regarding the council’s previous unanimity and recent divisions over Yemen, see here). Some Security Council member states – most prominently Russia – are increasingly unhappy with non-permanent member Egypt, primarily due to its overt support for President Hadi and the Saudi-led military coalition currently intervening in Yemen on Hadi’s behalf. The Egyptian delegation has consistently pressured the UNSC to focus criticism on the Houthis and Saleh, while also trying to silence criticisms of Hadi and the Saudi-led coalition. Ould Cheikh Ahmed second briefing to the UNSC last month took place August 31. During a closed-door portion of the briefing various member states affirmed their support for the special envoy’s efforts, while others – in particular the US, Russia, Japan, and Venezuela – raised criticisms and concerns regarding Ould Cheikh Ahmed’s plans to bring about a negotiated end to the conflict. A number of participants in the discussions privately commented afterwards that the UN special envoy was being deliberately vague in his responses to questions from UNSC representatives. Another draft press statement was circulated following the August 31 briefing, but was only released to the public nine days later, again due to disagreement between member states over an Egyptian-backed amendment to include a reference denouncing the Houthi-Saleh Supreme Political Council. Concerns remain amongst various UNSC member states regarding Ould Cheikh Ahmed’s ability to mediate an effective peace agreement. Although Russia has been the most public in this regard, various other member states have privately said they want to see a clearer, more substantive framework for a peace process, one that outlines specifically how the UN envoy will move forward with the negotiations, before endorsing his continued efforts. Following the failure of the peace talks in Kuwait, a new multilateral effort by the US, UK, United Arab Emirates and Saudi Arabia met in Jeddah on August 24. The group – dubbed “The Quad” – aims to bring renewed diplomatic pressure to bear on the warring parties in Yemen, and to back Ould Cheikh Ahmed’s efforts to mediate a political solution to the conflict. US Secretary of State John Kerry privately presented a proposal to Quad members for resolving the impasse. During a press conference following his August 31 briefing to the Security Council, Ould Cheikh Ahmed welcomed Kerry’s proposal and described it as similar to the peace plan he presented in Kuwait. Kerry’s proposal, however, advances the idea that political and security measures in the peace plan – in particular the disarmament and ceding of occupied areas by the opposition, as well as the formation of a new unity government – be implemented simultaneously. This contrasts with Ould Cheikh Ahmed’s plan that envisions a 45-day window between the implementation of security measures and the formation a new unity government, with the initiation of the latter dependent upon the success of the former. Notably, the UK has recently taken a more active role regarding Yemen – such as co-facilitating the Quad meeting with the US and organizing a UN General Assembly discussion on Yemen – which has been described in closed door meetings as part of London’s “Brexit” vision for a more proactive and globally engaged UK foreign policy. The UK’s credibility as an impartial arbiter of the Yemeni file is somewhat compromised, however, given that the UK supports the Saudi-led military intervention in Yemen through billion-dollar arms sales contracts. The role of Oman also became a central discussion point within UN and diplomatic circles in August, with Muscat seen as an actor that could potentially pressure the Houthis to concede to UN peace proposals. Muscat is also seen as a potential host of the next round of UN-led peace negotiations. The UK and US in particular are pressuring on Oman to play a more active role in mediation. To date, however, Oman appears to have limited coercive power over the warring sides in Yemen and has tended to avoid trying to assume such a direct role in the conflict. For instance, Oman was the only member of the Gulf Cooperation Council that did not join the Saudi-led military coalition. As reported in the Sana’a Center’s Yemen at the UN review for the month of July, on July 28 the Houthis and Saleh-allied forces unilaterally established a Supreme Political Council (SPC) to manage the state’s political, economic, military, and security affairs. The SPC exclude any representation by the internationally recognized government of President Hadi, which has been operating largely from exile in Saudi Arabian capital of Riyadh since 2014, albeit with a limited official presence in the Southern Yemeni city of Aden. The SPC’s establishment was designed to emphasize the Houthi-Saleh alliance’s ability to govern the country, in stark contrast to the chaos currently being witnessed in areas controlled by Hadi’s government. Russia in particular has been watching these developments in Sana’a to assess the capacity of the Houthi-Saleh alliance to govern. While Moscow did not explicitly endorse the SPC, Russia objected to the Egyptian proposal to condemn the SPC in the August 3 UNSC press statement. Moreover, Russia’s acting ambassador to Yemen in Sana’a attended the inauguration of the SPC, and told the press in an interview that Russia welcomes all efforts that could lead to national unity. On August 25, UN High Commissioner for Human Rights Zeid Ra’ad Al Hussein issued a report that, according to his office, “laid out a number of serious allegations of violations and abuses committed by all sides to the conflict in Yemen, highlighting in particular their impact on civilian lives, health and infrastructure.” The report’s key recommendation reiterates the High Commissioner’s previous call for an international, independent body to investigate all alleged violations. At the end of August, the UN issued a new casualty estimate, stating that at least 10,000 people have been killed in Yemen’s 18-month-old civil war. A UK-sponsored discussion on Yemen at the UN General Assembly. More aggressive fundraising by the UN Office for the Coordination of Humanitarian Affairs (OCHA), which to date has received only 40% of the US$1.63 billionit needs to implement its 2016 humanitarian response plan in Yemen. The UN Verification and Inspection Mechanism for Yemen(UNVIM) will issue a report for the month of September 2016. In August, the UNVIM gave clearance to 51 out of 53 cargo ships to offload food, fuel, construction material, and other non-military supplies in Yemen. *Correction made Oct. 6, 2016: a previous version of this report stated that the first meeting of “The Quad” took place in Riyadh on Aug. 24; this meeting actually took place in Jeddah. *Correction made Oct. 7, 2016: a previous version of this report stated that “The Quad” effort was launched in August 2016; the first formal meeting the Quad occurred the month before, in July. This is according to a letter written by the Parliament of Yemen to the US House of Representatives, a copy of which was obtained by the Sana’a Center.